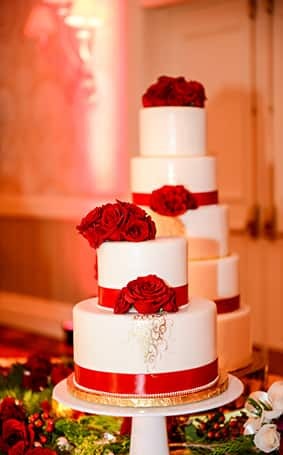 Have your (many) cakes and eat them too! 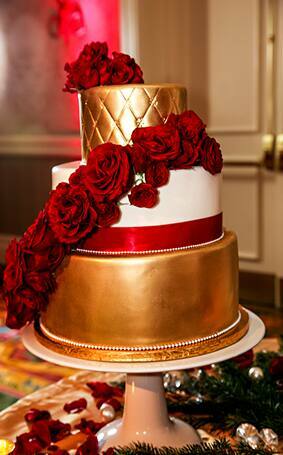 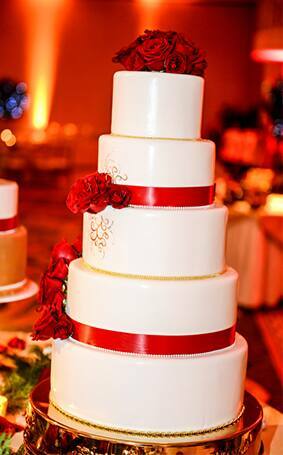 Itching for more sweets to decorate your reception dessert table with? 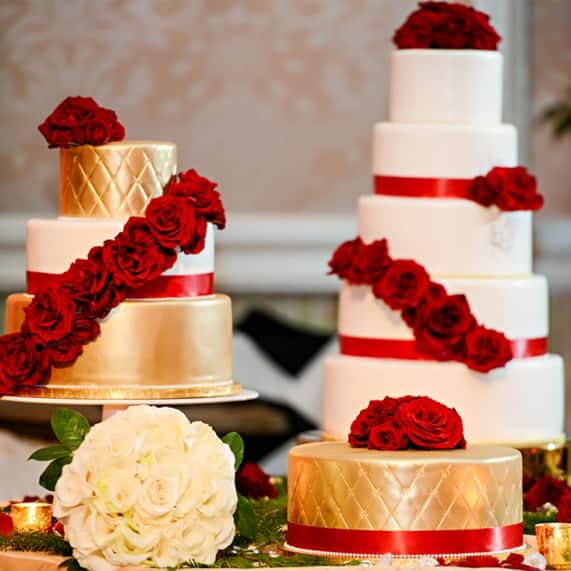 Go for the gold and create a confection station where each cake shines in its own way while flawlessly flowing together to create one cohesive focal point. 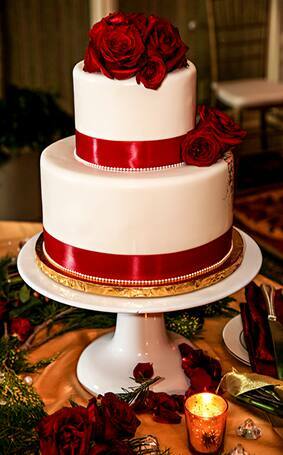 With the way the red floral accents pop against the gold, this Walt Disney World wedding parade of cakes is elegantly simple yet dashingly handsome!